Paddi is never happier than when he’s drawing caricatures. 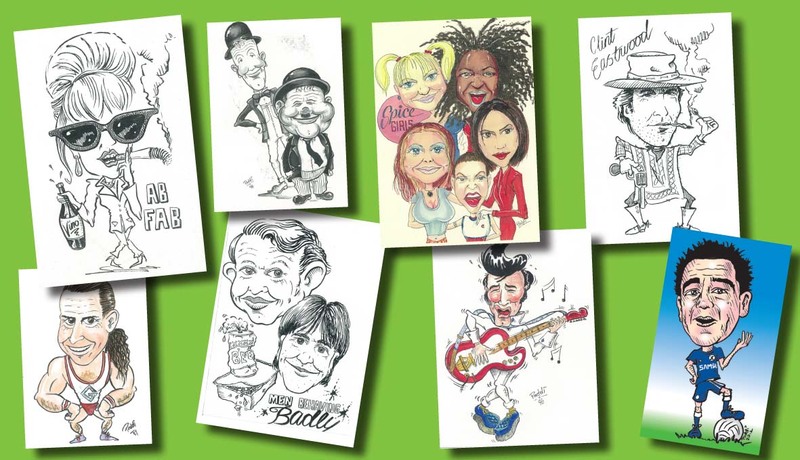 Perfect for a special occasion, Paddi has been known to produce caricatures for important guests at dinner functions, greetings cards, corporate leaving cards, birthdays, wedding invites and anniversaries. Why not email us your photograph and have Paddi do a caricature for you!